But we really missed the edgy, innovative dishes we loved in the city," said Kate. 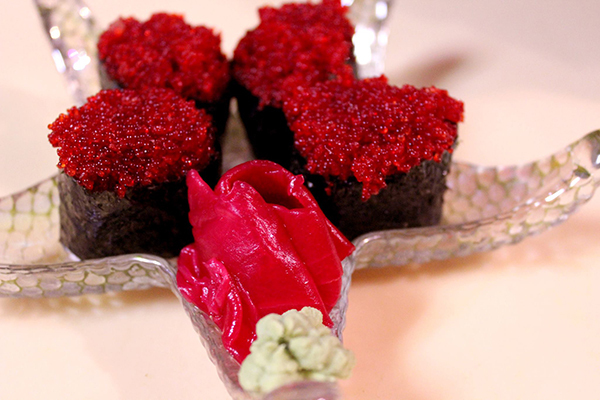 Which is why Mitsu Neko Fusion Cuisine and Sushi Bar is truly a labor of love for the couple. Becoming restaurateurs has been a dream for Roman and Kate Minialo since before they moved to the U.S. from their native Moscow. Living and working in the Branson area for the last five years, Kate says that they found the very Midwestern, down-home atmosphere of many local eateries endearing. " But we really missed the edgy, innovative dishes we loved in the city," said Kate. Which is why Mitsu Neko Fusion Cuisine and Sushi Bar is truly a labor of love for the couple. Located on West Highway 76 (in the Village Plaza shopping center, next door to Great Southern Bank, across the street from Applebee's), all of the restaurant's renovations were completed by the Minialos, and everything on the menu is as unique and ambitious as the décor itself. Roman, who has a master's degree in Japanese Studies, is passionate about preserving the historical and cultural Japanese influence in the sushi and other dishes he creates, all while working to "fuse" tradition with modern, creative touches. According to Kate, "Making excellent sushi is not just about rolling some fish in rice. It takes care and patience and high-quality ingredients." Mitsu Neko strives to use only fresh foods - avoiding artificial coloring, MSG and other preservatives. The vast majority of items on the menu are made from scratch daily, including sushi, sauces and desserts. As a result, some dishes are only available as periodic specials while supplies last - like the Vermouth Saffron Sea Bass dish that is available right now. A dish that isn't printed in the menu, but is wildly popular because of the incredible flavor of fresh sea bass and the creamy vermouth saffron sauce. (You'll want to ask for a spoon so that you don't waste a drop of it!). 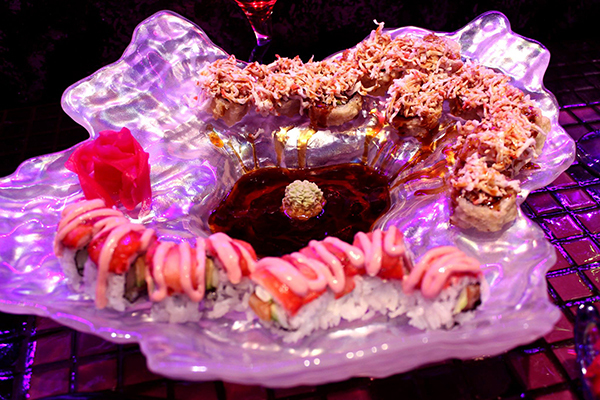 Everything from sushi rolls to menu specials to desserts and cocktails are meticulously presented with such flair that many customers find themselves snapping a quick photo before they dig in. Kate, who confesses to constantly experimenting with carving fruit, sculpting sugar and constructing beautiful sushi dishes, says that she is always bothered when chain restaurants serve plates that look nothing like the photos on the menu. "At Mitsu Neko, everything we serve is as beautiful as it is delicious." Though customers are welcome to drop in for lunch or dinner seven days a week, they do recommend making dinner reservations on the weekends. Everything is fresh and made-to-order and multiple sushi dishes take time to prepare to perfection. 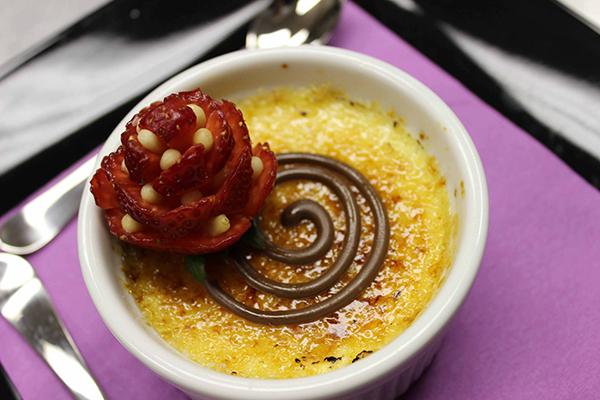 It is absolutely worth the wait and so is the scrumptious crème brulee! To take a look at some of the delicious fusion creations at Mitsu Neko, check them out on Facebook or call for reservations at 417-336-1819.